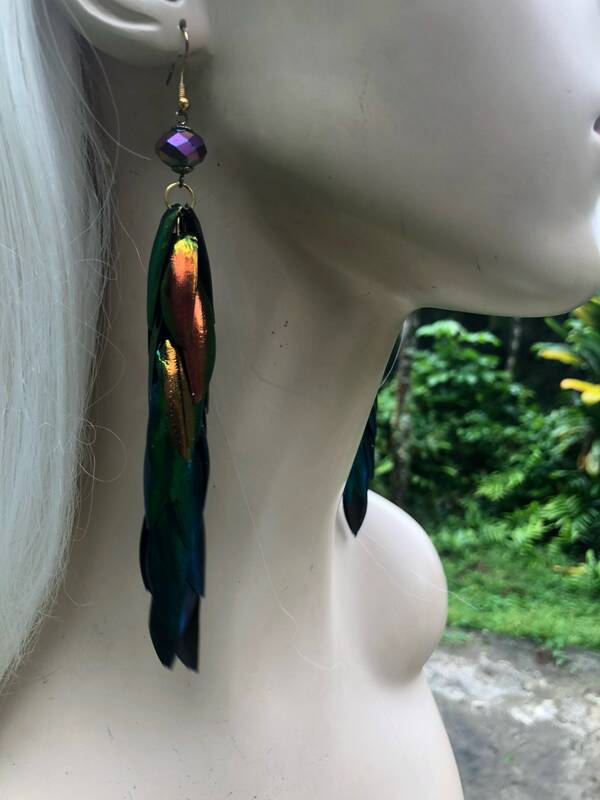 These earrings are the perfect gift! 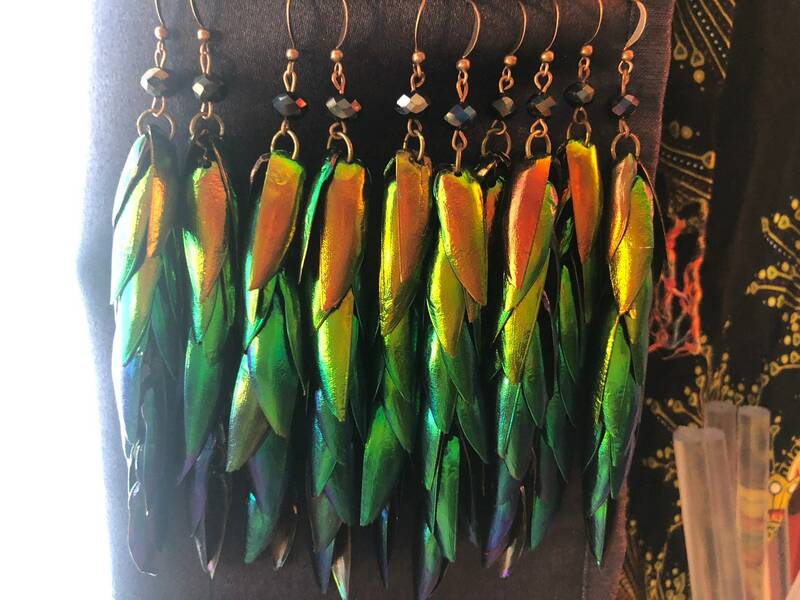 My new obsession - Elytra Beetle wing earrings! 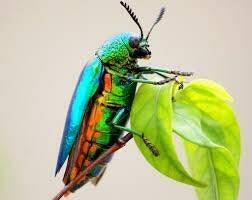 They are also known as jewel beetles. 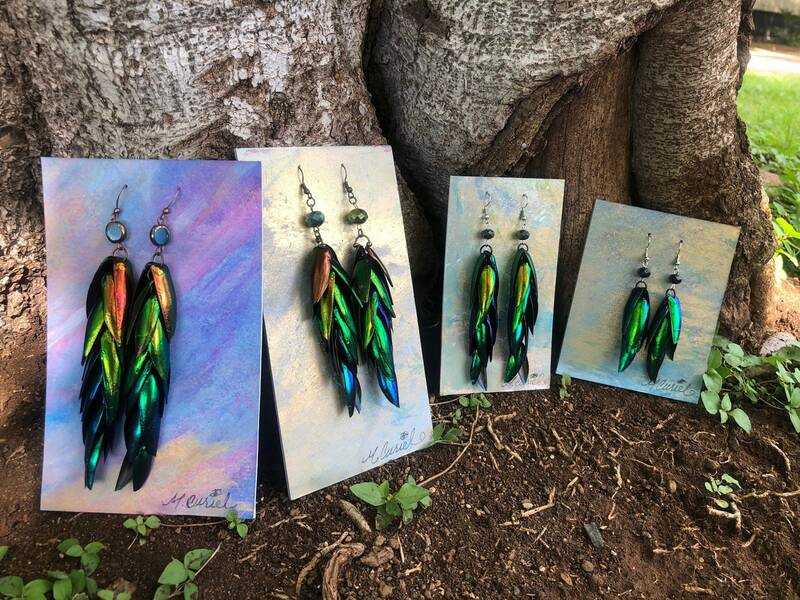 Most of its wings are emerald green, but some rarer ones vary in colors in all the colors of the iridescent rainbow! I love how each wing changes color according to the angle and how the light hits it! 🍃 All of the colors that you see are natural as nature intended them to be! 🍃 There is a resin treatment on the underside to strengthen the wings and make them more resistant to breakage. 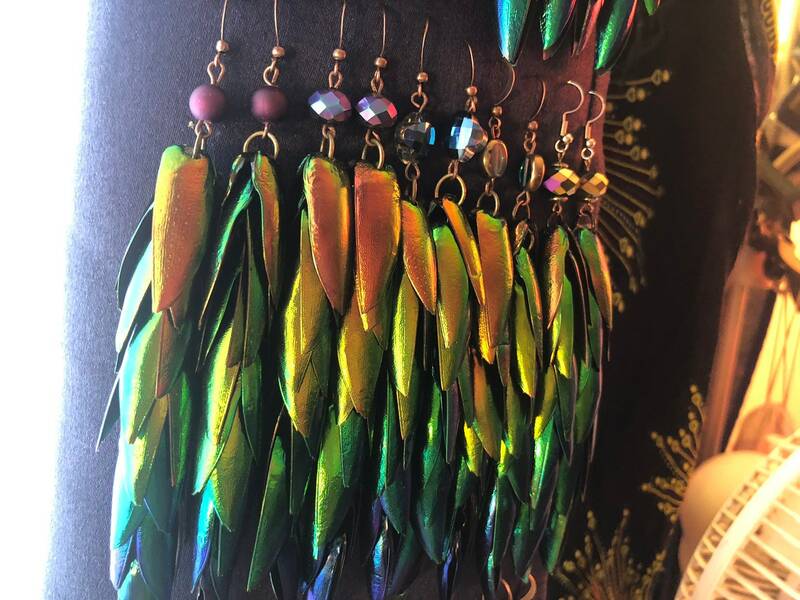 🍃 Each iridescent wing was carefully matched, chosen and placed so that when combined, the colors of the rainbow will be highlighted. 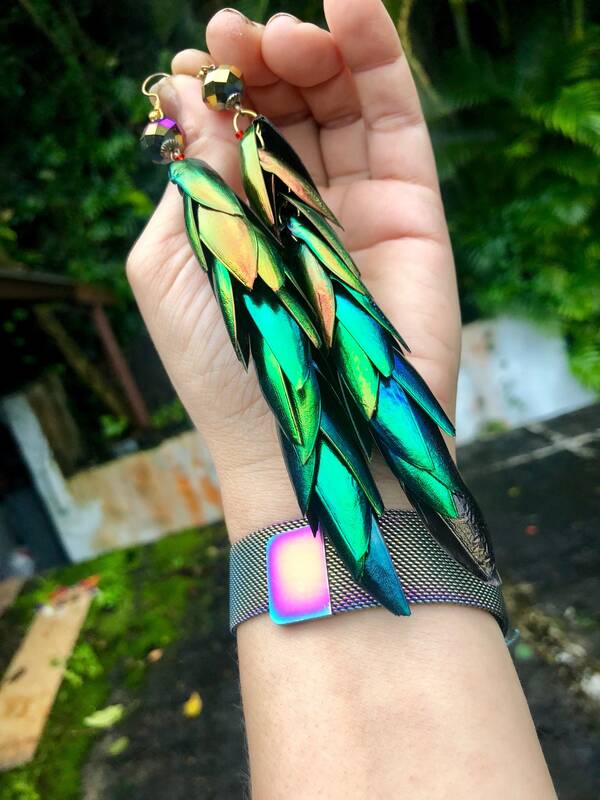 🍃(SOLD OUT) Mini: 3 levels (6 wings) 3 inches from the top to the tip (note that the wings are only green/iridescent blue - Red/orange/ yellow wing earrings available on request, but will have a cost of $ 10 more due to the rarity of the color wing) *** If you want a mini pair, I will be earning more in January. If you are not in a hurry, send me a message directly so I can make a set for you. 🍃 Mounted on mat board with original abstract acrylic paint signed by me. 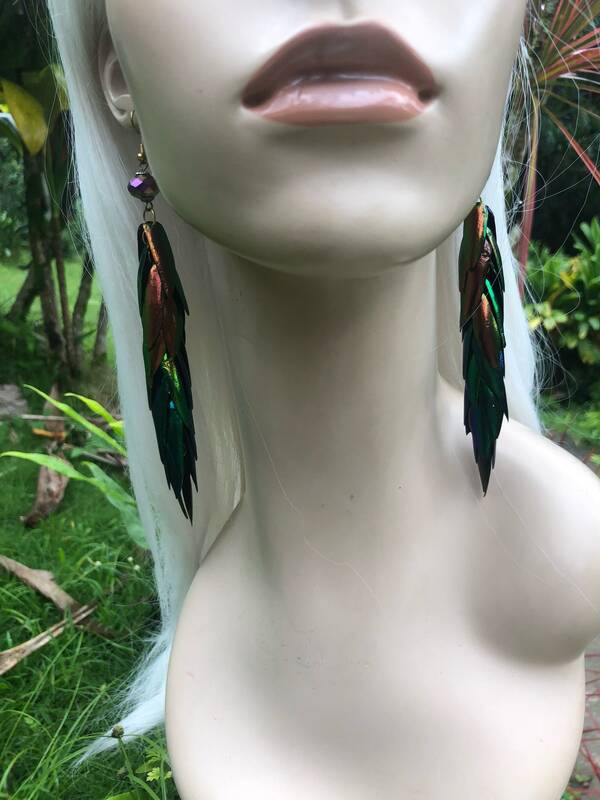 Note: the longer the earrings, the greater the variation of color that you will see. 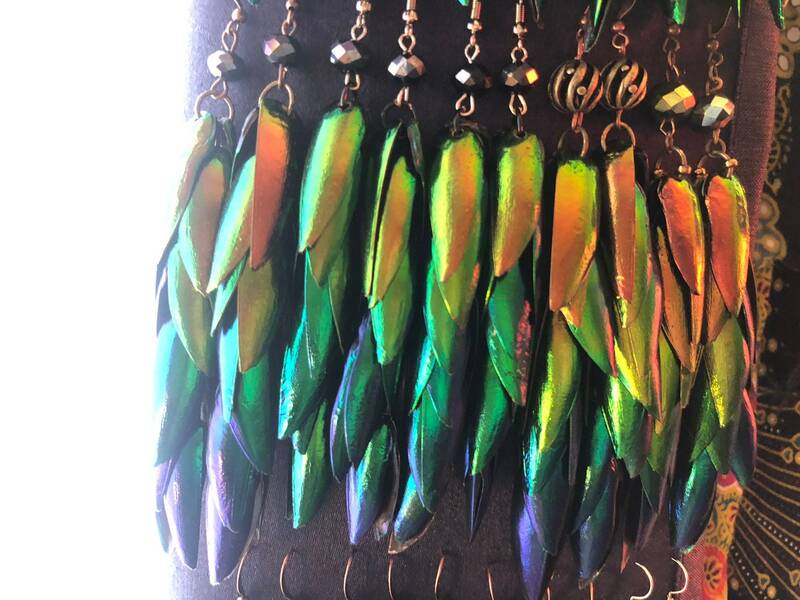 Red/orange, orange/yellow, yellow / lime green, aqua / blue, and blue/purple wings are much rarer and more expensive than iridescent green wings, so prices vary only with a few more wings in each size. Most jewel beetles are iridescent green. For each dark red wing, there are 100 greens. 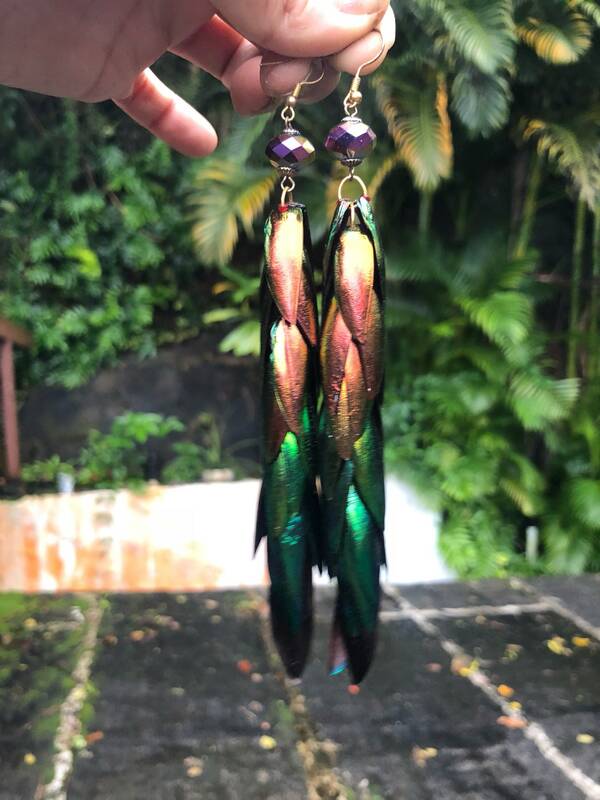 These wings come from the gorgeous leaf-eating Thai Jewel beetles, where they live out their natural lives for about 5 years from larvae to beetle. Once they lay their eggs and complete their lifespan cycle, they are then collected and used as a local food source from a Thai family that sells them in their village to provide nourishment to their residents. 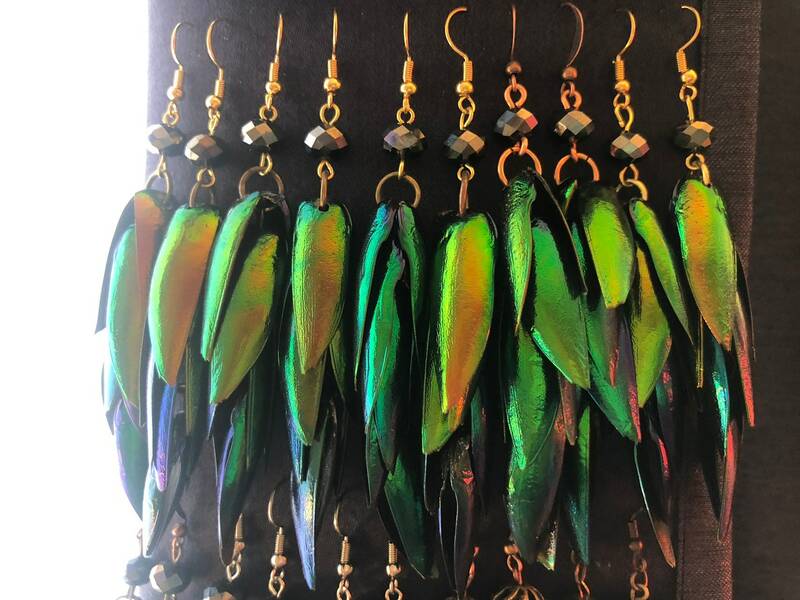 The wings are a natural bi-product of this food source that are then harvested, sorted, cleaned and treated with a light resin coat to harden the wings so that they can be turned into beautiful creations like you see here.